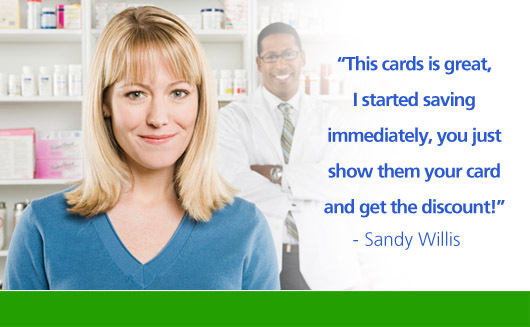 The Prescription Savings Card – Save Money On Prescriptions at oer 64,000 Pharmacies! We are America’s Premier Prescription Savings Program. Our cardholders have saved over $1 billion on their prescription drug purchases! The Prescription SavingsCard Program is one you can trust – with thousands of participating pharmacies nationwide, you’ll get the best possible savings and our commitment to your health and well being. NO COST to You and NEVER Expires.